This brief describes best practices in ensuring data transparency around the collection of student data and how CEDS can help LEAs with that effort. Access resources that provide information about the CEDS initiative. Access resources related specifically to using the Align tool. Access resources that highlight specific areas CEDS addresses in the vocabulary and tools. Access resources related specifically to using the Connect tool. Access resources about the different ways CEDS can be used. Access videos related to the various tools and features in CEDS that can support users with everyday tasks and challenges. Access resources that describe how states have used CEDS effectively in various education efforts. 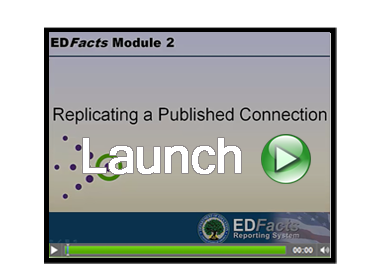 Access resources related specifically to how CEDS has been used to support EDFacts reporting. This paper discusses what are the benefits of CEDS as a common vocabulary as well as the expansion of the CEDS standards. This document describes what the CEDS standard is, why it is needed, and the parts of a standard in CEDS. This presentation describes the expansion of CEDS, including its resources (Align and Connect tools) and its growing community of stakeholders. This introductory presentation covers the basics of CEDS, detailing the benefits of using CEDS, as well as tools available for its users. TThis paper describes how these content areas were integrated into CEDS and how some states are using them. The purpose of this document is to detail how CEDS and associated tools can help states at all levels of SLDS development address data management challenges. It highlights the work of two states—Kansas and North Carolina—as they use CEDS to move forward with their SLDS efforts. This document describes virtual and blended learning data elements in CEDS. This document describes the common data vocabulary available for defining career pathways. This document describes the CEDS Achievement entity and how it supports a common data vocabulary for digital badges. This document describes the common data vocabulary available for financial data elements. This document describes the CEDS Achievement entity and how it supports a common vocabulary for learner experience data. This document describes CEDS data vocabulary for information about staff professional development. This document describes the common data vocabulary available for defining rubrics in a data system. This paper focuses on how CEDS can be used in the development or improvement of a state, district, or early learning data system. This paper focuses on how CEDS can be used in the effort to clearly define protocols for effective data governance within an organization. This paper focuses on the ways vendors and researchers can view, interact with, and utilize CEDS. Learn how Idaho used the CEDS NDS to solve issues with transporting data from one system to another. Using CEDS: Metro Nashville P.S. Learn how Metro Nashville P.S., an LEA, used the CEDS standard to turn their data dictionaries into a data culture. Learn how North Carolina used CEDS to create a federated master data dictionary to resolve their data request issues. This brief describes the collaboration that occurred between various TA Centers & Programs in an effort to help inform broader discussions related to the federal reporting requirements of ESSA, and how CEDS Connections supported the effort. The CEDS Influence on Education Data – A Look at the Statistics. When an SEA undertakes to review and comment on a proposed or revised collection, this can involve many hours of work. This brief focuses on how California used the tools available from CEDS to lighten this labor burden. This video describes the free resources that CEDS offers, including Connect and Align, that can help you complete your research projects or answer critical questions. Be sure to check out the resource links at the end of the video. This brief focuses on how Alaska, while building its P-20W data system, used CEDS as a tool in the development process. This brief focuses on how the eleven states that participated in the Common Content Tagging Initiative used CEDS to build on existing LMRI work. This brief focuses on how a regional compact, the Western Interstate Commission for Higher Education, used CEDS as a tool in one of its initiatives. CEDS is an education data management initiative whose purpose is to streamline the understanding of data within and across P-20W institutions and sectors. This video describes the concept behind the CEDS initiative. CEDS has tools to help build data dictionaries. A data dictionary is a necessary component of any data system, contains metadata about the elements stored in the data system, and is a way for technical and business users alike to define the data. This video describes the five steps that are commonly involved in a successful integration effort and the tools within the Common Education Data Systems (CEDS) that can help.